I love taking Andy to see Cirque du Soleil. It's pretty much become a tradition for us. I've been taking him ever since he was 2 years old. Last week, we went to see VOLTA and loved it so much. As a little early Christmas present, I'm excited to be giving away a Family (4) Pack of tickets to enjoy the show taking place in Miami, Florida (under the big top next to the Hard Rock Stadium). 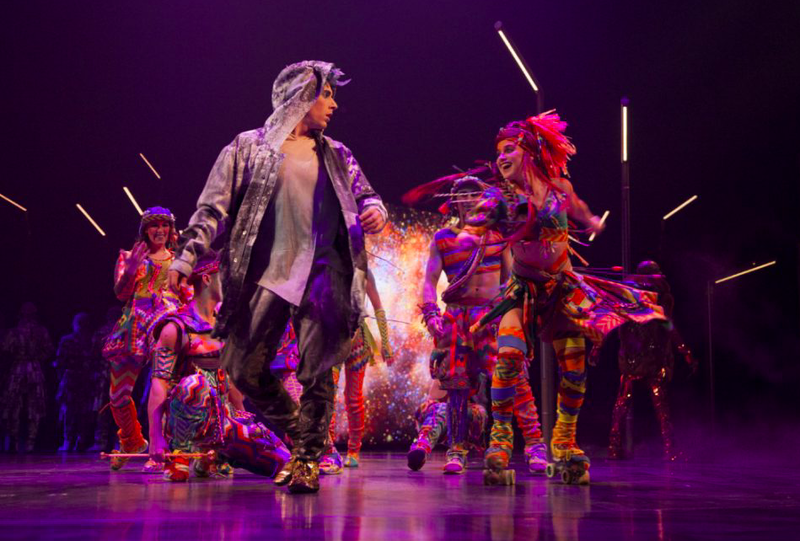 The show VOLTA tells a spellbinding story about the freedom to choose and the thrill of blazing your own trail. Inspired in part by the adventurous spirit that fuels the culture of action sports, the show weaves the adrenaline rush of acrobatics into a visually striking world driven by a stirring melodic score. VOLTA is a story of transformation. It is about being true to oneself, fulfilling one’s true potential, and the power of the group to make that possible. It celebrates freedom as a movement. WAZ, a popular gameshow host, has lost touch with his inner self in the pursuit of fame, pulling others in the trap of instant glory. But as doubt sets in, WAZ is enlightened by childhood memories as he encounters “free spirits” who open doors to his inner soul he has long kept shut. Adults and kids alike will absolutely love it. Simply follow @vivafsahion on Instagram and leave a comment on the Cirque du Soleil image telling us why you'd like to attend. I will be announcing the winner on Tuesday, December 26th at 12pm EST. The tickets are for the Thursday, January 11th, 2018 showing. Good Luck!